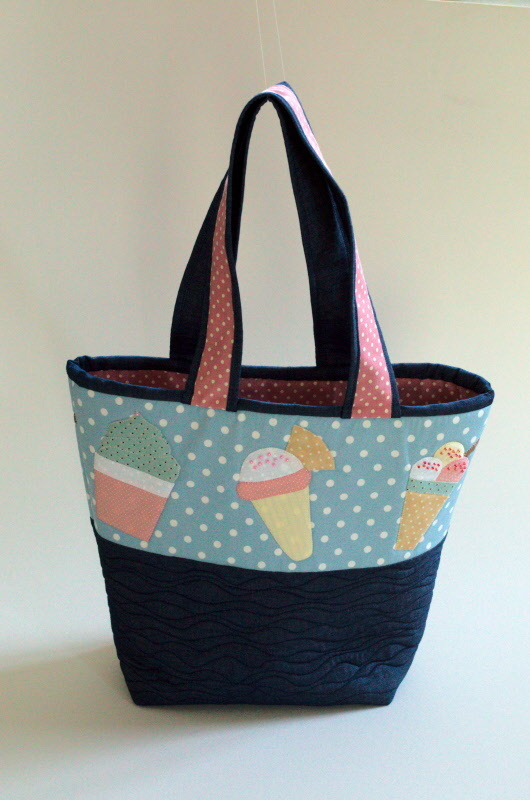 Designed by Sue Rhodes this beautiful summer inspired bag incorporates fusible applique and easy quilting. The kit includes all of the fabrics, beads and a unique stiffener along with the pattern. The bag measures 14x13 excluding the handles.